There is a pseudo-periodic ripple on all frames at the +/-5 ADU level and can be seen at low level in the darks. It is, however, best illustrated from the difference between two dark frames of the same type (see image on left). 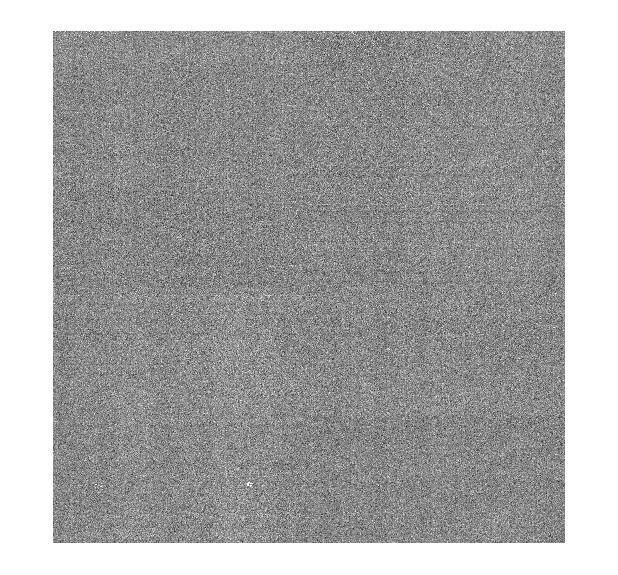 This is removed using a bilinear correction array. 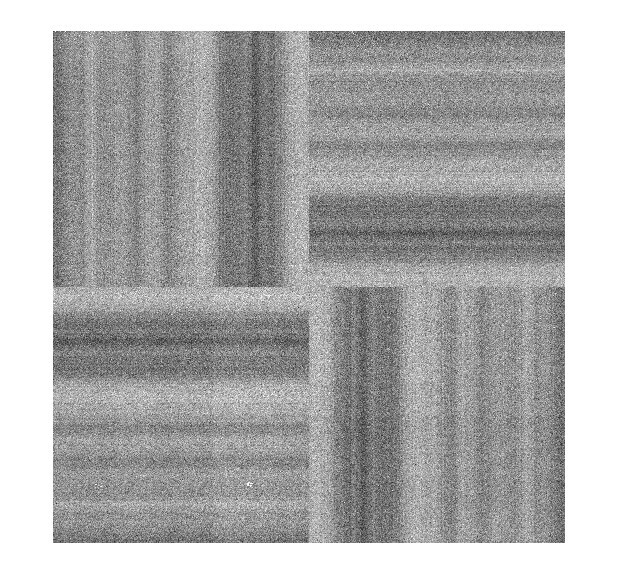 The algorithm works by robustly estimating two 1-D 1024 additive correction functions making heavy use of iterative clipped medians and the 4-fold 90 degree quadrant symmetry of the detectors. The occassional single channel pedestal offset is seen, particularly on one quadrant of detector #4. This shows up at the several ADU level but is deliberately left un-corrected. Not only does the decurtaining algorithm remove the curtaining problem it also is used to reduce the effect of residual reset anomaly on normal astronomical images.